Classes at Cucina Casalinga are fun and hands-on. Class sizes are limited, allowing everyone to get involved. Cooking in our fabulous new kitchen is a real treat and a great way to socialize while honing your cooking skills. you may send a substitute or request recipes. a full refund will be given. 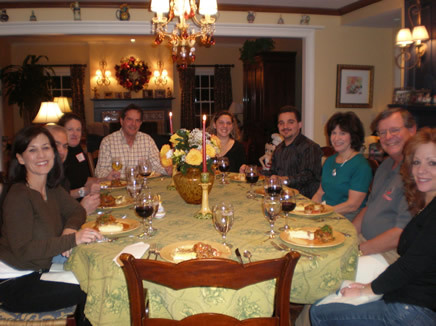 Enjoy a sit-down luncheon or dinner with wine and coffee after your hands-on cooking lesson. 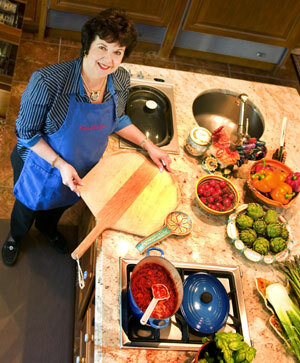 "Cooking can offer so much more than just a meal, and Sally's course will give you so much more than just a few recipes. I entered Cucina Casalinga a 22-year-old afraid to touch a stove and embarrassed by how little I knew about cooking. Sally patiently answered all of my questions, and made me feel so comfortable in the kitchen that I kept forgetting I had no idea what I was doing. One Cucina Casalinga course later, I proudly listen to my graduate school roommates boast of my cooking. The feeling you get when others enjoy what you've worked hard to make -- that trumps any meal that anyone else will ever make for you. Sally will teach you the true joy of cooking, and your life will never be the same again." -Matt H.